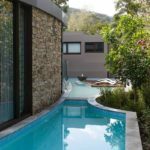 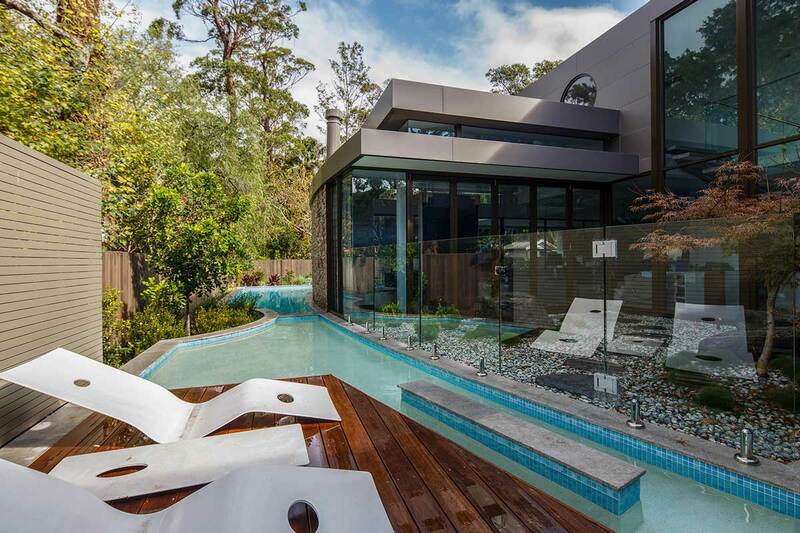 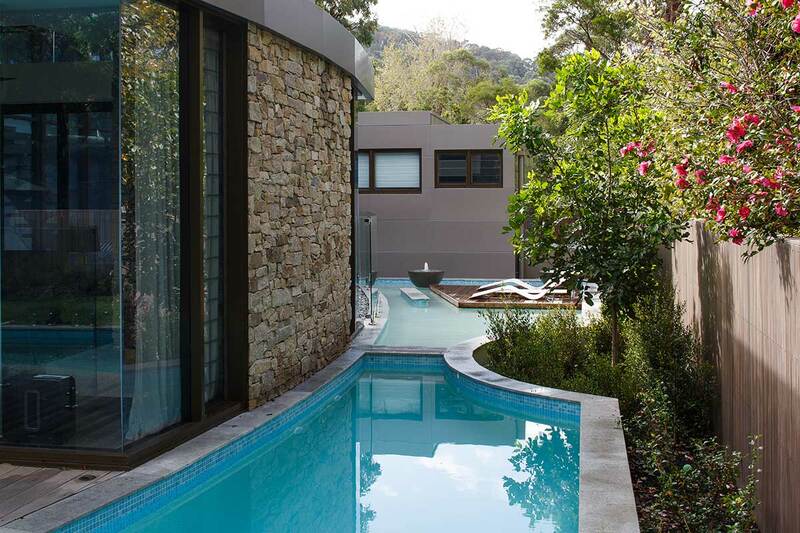 This expansive, integrated swimming pool wraps around the entire dwelling and acts as the central focus point of this stunning Avalon home. 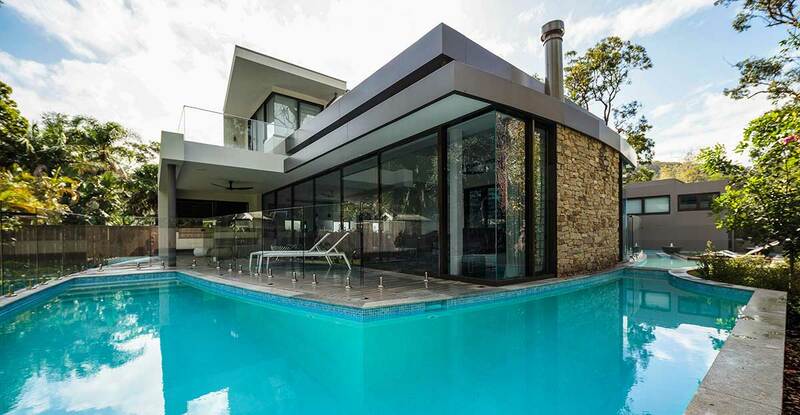 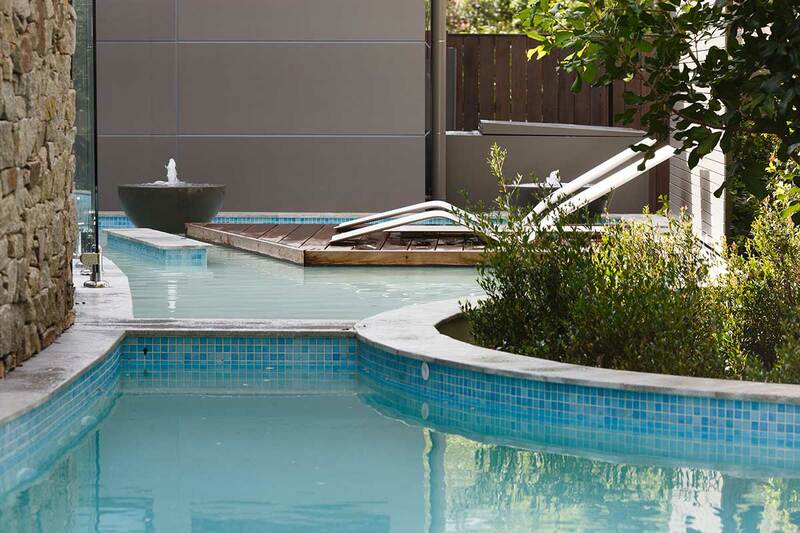 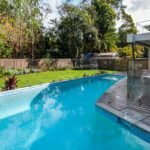 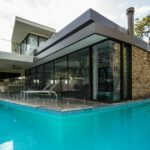 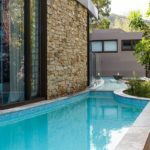 The homeowners wanted their new pool to be an entertaining and leisure area as well as a contemporary feature enhancing the overall property. 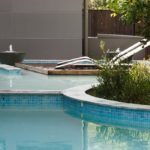 Crystal Pools designed two separate pools; one as the main pool for leisure and entertaining and a secondary feature pool with a raised, in-pool lounging area, three water features and it’s own independant filtration system. 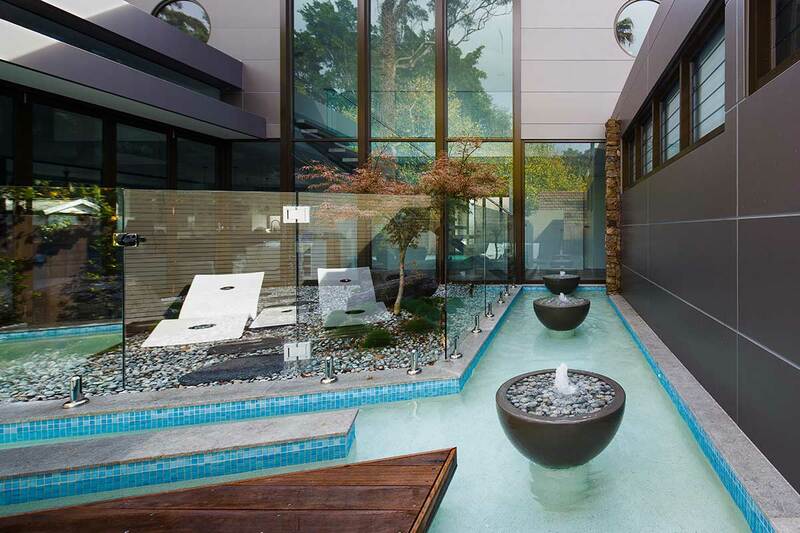 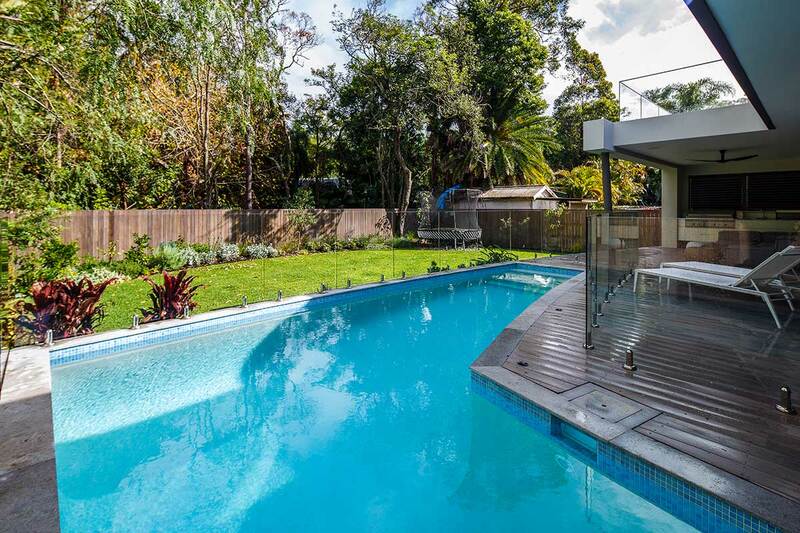 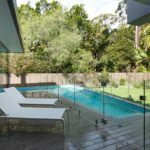 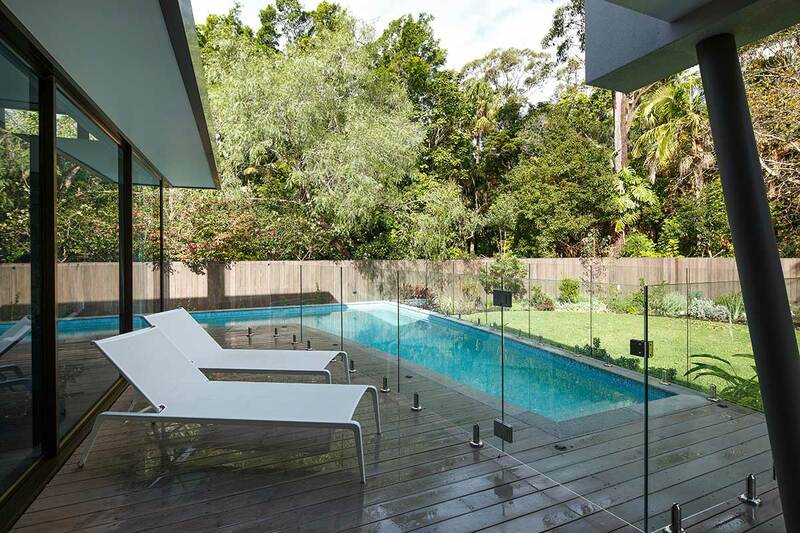 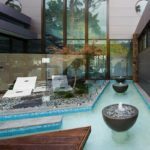 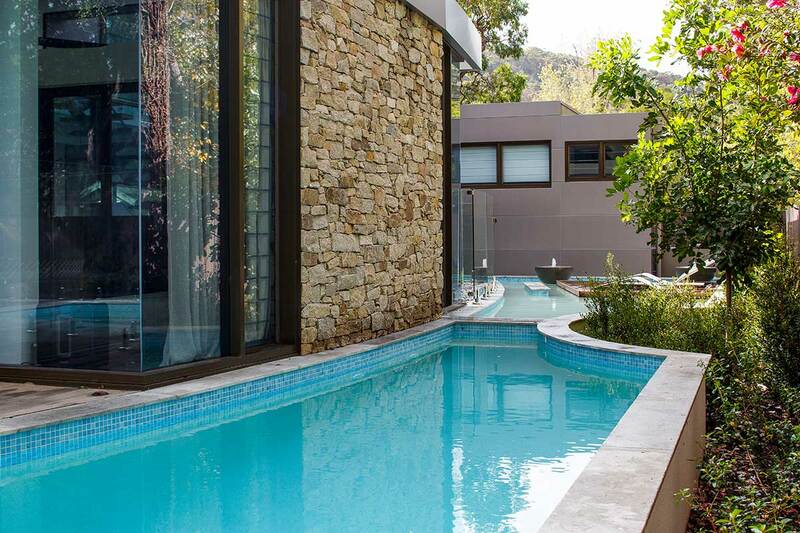 The modern look of the pool is completed with Japanese style landscaping, seamless glass fencing, Travertine coping and hardwood decking.